When you need a gynecological procedure such as a hysterectomy or ovarian cystectomy, minimally invasive da Vinci® robotic surgery provides numerous advantages. 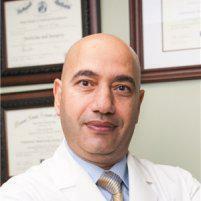 Mohamed Esiely, MD, an award-winning OB/GYN at Health Wise Women in Hoboken, New Jersey, is certified in the use of the da Vinci laparoscopic surgical system. To find out more about innovative surgical treatments with da Vinci, call Health Wise Women or schedule an appointment online today. The da Vinci surgical system is the world’s most advanced surgical robot. This technology enables Dr. Esiely to perform complex surgeries by making a few small incisions instead of the large ones required for traditional (open) surgeries. Robotic surgery using da Vinci involves a high-definition 3D camera and four robotic arms with miniaturized instruments. These instruments can rotate more and have greater flexibility than the human hand, enabling Dr. Esiely to perform your procedure with increased control and precision. To execute robot-assisted surgery, Dr. Esiely controls the da Vinci robotic system at a nearby control console while another surgeon is at your side. As Dr. Esiely performs the surgery at the controls, the da Vinci system translates his movements to the robotic instruments. Because of the minimally invasive nature of da Vinci, you also experience less pain following your procedure, resulting in less medication and downtime. What gynecological conditions can da Vinci surgery treat? Besides gynecological treatments, this innovative technology can be used to perform a variety of procedures, including general, cardiac, thoracic, urologic, or colorectal surgeries. If Dr. Esiely recommends surgery, he works with you to determine if you’re a good candidate for da Vinci robotic surgery. In addition to being certified with the da Vinci system, Dr. Esiely has also won the Laparoscopic Surgery Award. Call Health Wise Women or schedule an appointment online today to see if da Vinci robotic surgery is a viable option for you.